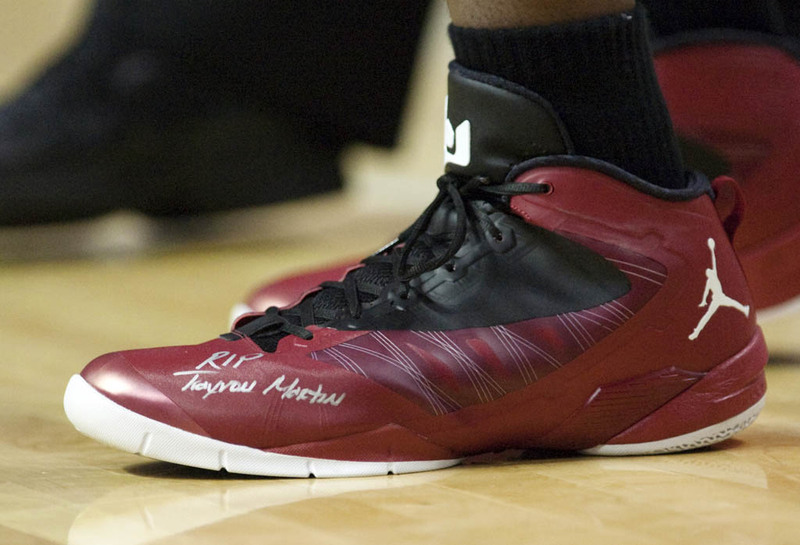 The Heat duo uses handwritten messages on their sneakers to pay tribute to the slain 17-year old. Trayvon Martin was a 17-year old boy who was senselessly gunned down by a man by the name of George Zimmerman in February. Trayvon was said to be walking to his father's home from a convenience store when Zimmerman phoned 911 and followed Martin for what he called "suspicious behavior." The two were believed to have gotten into some kind of verbal altercation, which resulted in Zimmerman fatally shooting Trayvon, despite the fact that he was unarmed. After a claim of self defense, Zimmerman was not arrested and remains a free man to this very day. The lack of justice for Martin's family has sparked nationwide outrage, and people are doing their part in making sure Trayvon's story is heard. 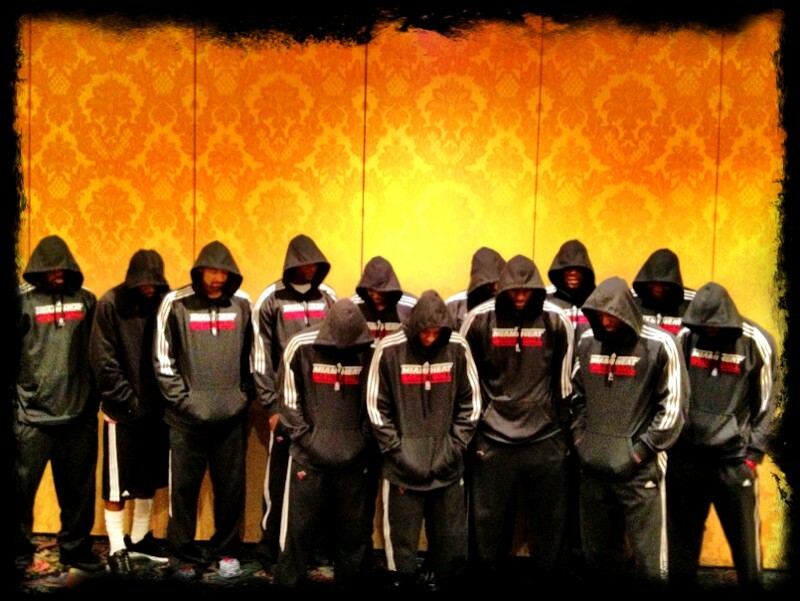 Earlier today, the Miami Heat made headlines when they took a team photo wearing hoodies, in reference to the hooded sweatshirt Trayvon wore on the night of the incident. 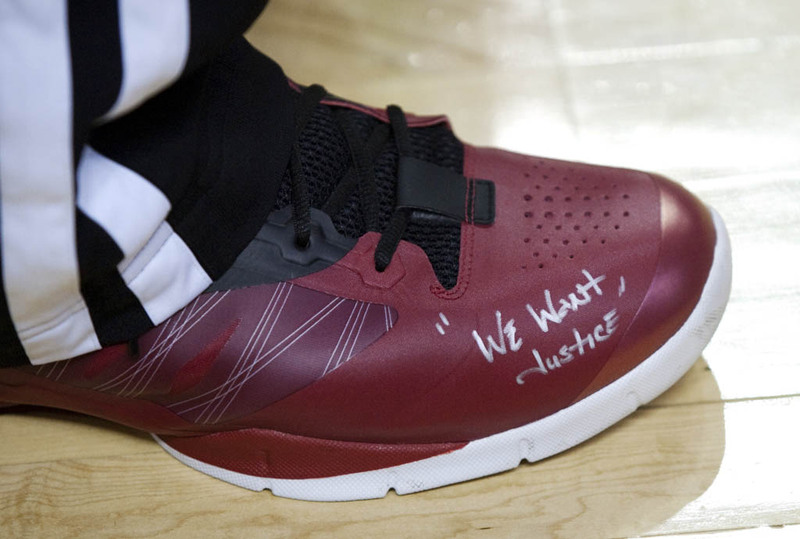 Taking their support a step further, team leaders LeBron James and Dwyane Wade wrote messages of support on their respective signature sneakers, the Nike LeBron 9 and Jordan Wade Flight PO. 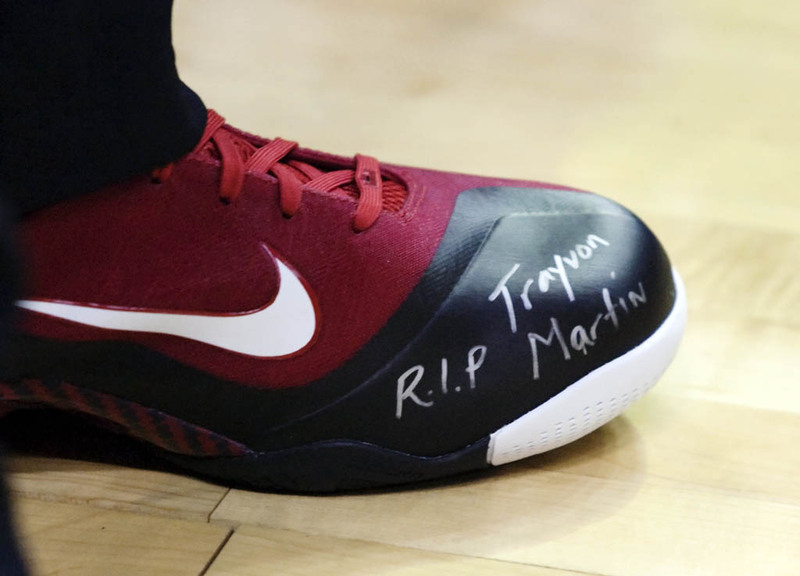 Both players' left shoes read "R.I.P. Trayvon Martin," while Wade's right also features the message "We Want Justice." The Heat walked away with an 88-73 win over the Detroit Pistons, but the bigger victory was helping spread awareness about something they believe in. If you'd like to sign the petition to prosecute Zimmerman, visit Change.org.